Skilled joiners and architects know the importance of high quality timber window units. After all, timbers such as oak can last a lifetime and have many benefits over metal or plastic. Here are some of the top benefits of wooden windows that every homeowner should know about. Timber window units can add to the aesthetic appeal of a home, especially when they are painted or stained. The advances in manufacturing techniques of wood mean that customers now have a variety of options. You can choose from different designs such as multi-light casements, fully reversible sash, and vertical sliding sash. Timber is highly resistant to extreme cold and reduces heat loss. These types of window units will keep your home warmer and lower your utility bills. When your home is warmer, you will not see any signs of condensation. With adequate maintenance, the lifespan of your timber window can extend to more than 60 years. In most DIY stores, there are lots of different paint colors for timber so you can achieve the finished look you want. Painting your window frames regularly will keep them in good condition and prevent them from rotting. Timber is a renewable material with low carbon footprint. By choosing wood, you will help protect the environment for generations to come. Over the last decade, the evolution of timber window frames has been significant in terms of durability, design, and quality. 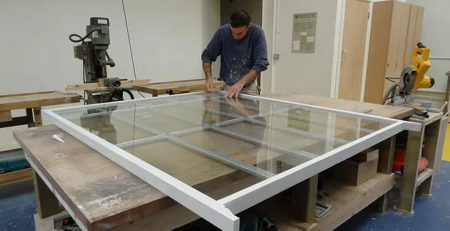 Window manufacturers are now producing single, double, and even triple insulating glass units for modern and rustic homes. While you may have to pay more for wood-framed window units than UPVC, you can be sure of lifetime durability. Perhaps one of the biggest challenges for timber window manufacturers has been to create long lasting frames that provide effective protection against adverse weather. Although no window is maintenance free, it is necessary to carry out repairs on timber frames every once in a while. 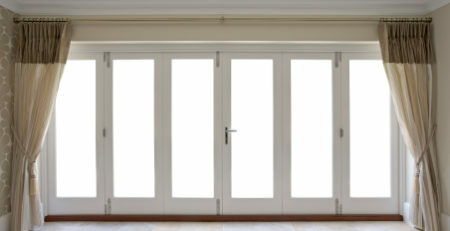 However, unlike wood, if you have UPVC window units, you will not be able to repair them at all. When it is time to recoat the frames, a simple rub-down of the surface will be all that is needed before applying a coat of paint or varnish. Most timber frames are already treated with preservatives before they are installed. Manufacturers are also introducing new environmentally friendly formulas for preserving these materials. The thermal efficiency of timber window frames is one of the top benefits as the frame material is fully sealed and filled with air or gas. This helps prevent a degree of heat loss through the panes as well as gain heat from sunlight. Wood is a natural insulator and produced at different thermal efficiency levels. When you are on the market to select the right timber window frames, make sure you pay attention to the energy rating or U-value for the recommended level indication of 2K. U-values refer to window energy rating. When analysts calculate these ratings, they take into account air leakage and solar gain. Energy ratings range from A to G, with E being equal to 2K value. You should therefore, always pay close attention to the energy star rating of the timber units before making a purchase. Timber is perhaps the only sustainable building material because it is fully renewable and acceptable as the top choice for doors and window frames. As long as the wood comes from managed forests and contains the right certification, you can be sure of its lifetime guarantee. All you need to do is take care of its condition by applying paints or stains once every two years or so. Before you order your window units, ask the manufacturer to provide proof that the materials have come from a sustainable managed forest. A certificate such as FSC or PEFC will show that the timber is from a managed forest and can be tracked back to its source. Most timber window manufacturers are responsible in demonstrating that the raw material they use for their products has been sourced from managed forests. Any copies of certificates or documents will show where the supplier has obtained the timber from and confirm the credentials of the timber itself. You can find many reputable manufacturers online just by exploring their websites and reading their testimonials.